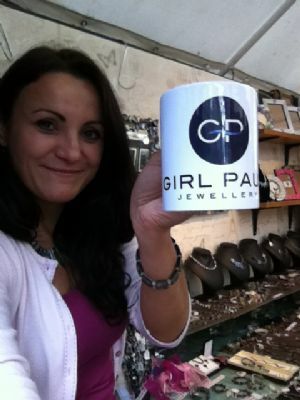 My name is Mhairi and I set up Girl Paua Jewellery in 2007. I combine NZ Paua Shell with Freshwater Pearls, Blacklip Mother of Pearl and Swarovski Crystals to create elegant jewellery and unusual shell gifts. With its amazing array of colours and iridescent sheen, Paua Shell compliments most items of clothing and can be worn time and time again. Paua is the native New Zealand Maori word for Abalone and is the brightest of all the species in the world. It has beautiful iridescent tones and a multitude of colours which reflect light. At fairs I realised that most people either already know Paua Shell, or are completely astounded that something so beautiful lives in our oceans. I lived in NZ for a year and I know quite a lot about the shell and the New Zealand culture. I can answer lots of questions customers may have, including about the sustainability of the Paua Shell, a treasured and lucky shell in NZ. There are areas with strict no fishing laws, and individuals can only dive unaided (ie no scuba apparatus) and collect a maximum of 5 shells over a certain size. Paua is a bi-product of the fishery industry, and it is lovely to be able to use this precious shell to bring joy to many around the UK & abroad. I work hard to create lots of different lovely pieces and always have ideas for something new, including customisations for customers. I combine NZ Paua Shell with Freshwater Pearls, Blacklip Mother of Pearl & Swarovski Crystals to create elegant jewellery & unusual shell gifts, including frames, bookmarks, hairclips & more to suit every budget. Many of my customers comment on just how versatile the shell is & how often they can wear my pieces, as paua shell matches most colours. I handmake about 90% of the items available online, so most pieces can be customised. Customers can choose different colours of swarovski crystal and different shapes of paua shell. Items can be lengthened and shortened, and I can even create something completely different for you. I frequently meet customers who have sentimental jewellery which has perhaps broken or a piece of shell from 20+ years ago has fallen out. I can repair your treasured jewellery and bring it back to life for you :) From £10. All jewellery comes gift-boxed or bubble wrapped with a Repair Service should any problems occur, and a no hassle Returns Policy for complete peace of mind. You can also come and visit the stand at many events around Scotland and the UK and see the beauty of the Paua Shell for yourself - all upcoming events can be found in the EVENTS DIARY. Thanks for your custom. I do hope you enjoy browsing the site and if you have any questions, please do not hesitate to get in touch!